Michael Dell once gave up day-to-day control of the computer company that bears his name – an experiment that went poorly and ended relatively quickly. But now he is putting up some of his own wealth to reverse the company’s fortunes. Dell Inc will go private in a $24.4 billion deal led by Michael Dell and including capital from private equity firm Silver Lake and a loan from Microsoft Corp, the parties said on Tuesday. 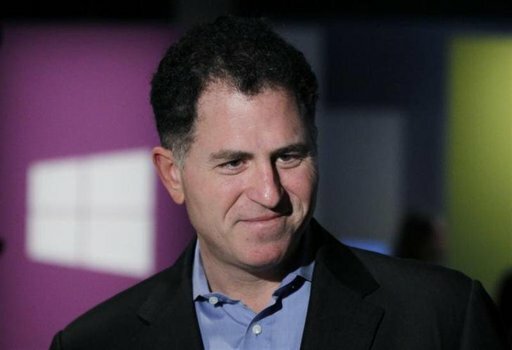 Michael Dell will put up his equity stake in the company, plus cash out of pocket and cash from his investment fund. He will have a majority stake in the company after the deal closes, according to a source familiar with the transaction. That the company would go private is not necessarily a new idea; Michael Dell told an investor conference in June 2010 he had considered it before. By pulling the trigger now, the billionaire’s company can focus on reversing its fortunes by concentrating on higher margin corporate IT and services – borrowing a page from IBM. That is no small task for a company that built its name on bespoke computers but whose star has waned, and now wants to go up against larger rivals like Hewlett Packard and IBM. “This is an opportunity for Michael Dell to be a little more flexible managing the company. That doesn’t take away from the fact they will have challenges in the PC market like they did before,” said FBN Securities analyst Shebly Seyrafi. Michael Dell started the company in 1984 out of his college dorm room with $1,000, and led it to the top of the PC industry. The TV advertising slogan “Dude, you’re getting a Dell” become one of the best-known catch-phrases of the early 2000s. The company’s early successes made him wealthy enough to start a business called MSD Capital that employs 80 people in three cities who invest his money in everything from stocks to real estate. Forbes ranks him among the world’s 50 richest billionaires, with an estimated fortune of nearly $16 billion. But much of his success is still tied to the company he founded, and from which he has not been able to step away. The first time he handed over the reins was in 2004, when long-time lieutenant Kevin Rollins took over as CEO. The company was on top of its game when Rollins stepped in, but sales and customer service slipped in the ensuing three years, and there was a general sense of relief among investors when Dell reasserted control in January 2007. “There’s been no turnaround and the bottom line is Michael was the one who built the company,” Needham & Co analyst Charles Wolf said at the time. In the six years since Michael Dell resumed leadership, the company’s market share has dipped even further, as has its stock. Dell, which derives more than half its revenue from sales of plain-vanilla PCs and servers, has steadily ceded market share to HP and Lenovo, and is struggling along with the rest of the industry with declining personal computer demand. Even with the price surge since rumors of a buyout first broke, Dell Inc shares are still down by roughly half from when he regained leadership. Though, to be sure, HP’s stock has also fallen about as much. During that time the market changed dramatically, and Dell’s once-iconic built-to-order PCs have lost favor as consumers and even businesses move toward tablets and smartphones, a market where Dell has taken tentative and unsuccessful steps. That slide was magnified by Michael Dell’s brash confidence, which sometimes got him in trouble with peers, most famously Apple Inc’s late CEO Steve Jobs. When Jobs returned to lead the company he started in 1997, Dell famously suggested Jobs would be better off shutting the company down and returning the cash to shareholders. Nine years later, Jobs had the last laugh when Apple’s market capitalization surpassed Dell’s. Even with its recent slide, Apple remains more than 20 times bigger than the former PC industry darling. With Dell now choosing to go private, much will hinge on the willingness of future partners to support his potentially costly turnaround effort. Some support has already been received via a loan from Microsoft to help fund the deal. “This gives him flexibility. The market wasn’t valuing the company at where he thinks it should be worth and who knows that better than him,” said Phil Silverman, managing partner at Kingsview Capital.